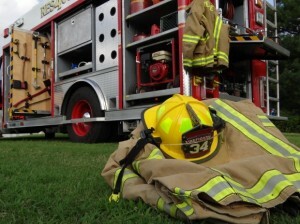 A California age discrimination lawsuit brought by 15 firefighters who previously worked for the City of San Francisco has resulted in a victory and an order to pay the workers a total of $3.7 million. The case is noteworthy for the simple fact of how much was awarded, but also because age discrimination cases tend to be tougher to prove than some other forms of harassment. The success of this case proves that workers who have faced inequitable treatment due to their age should not automatically assume their claim would be a lost cause. A consultation with an experienced Costa Mesa employment lawyer can help you decide whether filing suit is the best course of action. This case out of Northern California first began to unfold five years ago, following a promotional exam, which all of the 15 older candidates were alleged to have failed. The test was part of the required procedure for becoming a lieutenant. Three of those who reportedly failed that test have since retired. However, they pressed forward along with the others in accusing the city of altering dozens of test scores, going so far as to shred documents pertaining to the test before a legal challenge could even be filed. It appeared clear that the exam process was improperly designed to discourage or outright prevent firefighters over the age of 40 from pursing the higher-level position. It made little sense that firefighters who had decades’ more experience would fail a written part of the test that those with lesser experience would pass with flying colors. A key piece of evidence in the case, according to another juror, was the city’s admitted altering of test scores, followed by ignoring the obviously discriminatory way in which the tests were graded. On the stand, administrators with the department had said that all of these issues would be “balanced out” when other factors of the process were considered. The answer key to the test reportedly had incorrect information and the scores of those who took the test were altered in secret, without a consultation of the experts who had designed the test. Not even those who initially graded the exams knew that the scores had been changed. The city tried to say that it had been faithful to industry guidelines and state standards. Questions regarding the city’s hiring and promotional practices have been constant since 2008. Similar lawsuits are still pending for promotional testing that took place for other positions, including assistant chief and battalion chief. This one, according to The San Francisco Chronicle, was the first to go to trial. While the city says it’s still weighing its options, we believe it’s likely that settlements of the other cases will be in the future. Those in this case are each going to receive back pay, future pay as if they had been promoted to the post for which they had applied an an additional $110,000 for emotional distress.